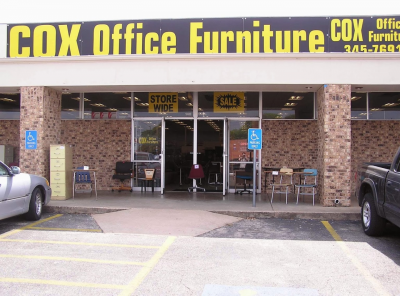 Cox Office Furniture has served Central Texas with quality service and furniture since 1958. We are truly dedicated to helping our customers find what they need for the right price. We have over 17,000 square feet of new, used, clearance, scratched, and dented furniture in stock. We are open to the public and college students are welcome. We offer a complete line to satisfy your office service needs. We have everything in stock from executive desks to lateral files, filing cabinets, conference tables and more! We even offer janitorial supplies, and around-the-office miscellaneous items too. Come visit our new showroom location at 8650 Spicewood Springs Rd #140, Austin, TX 78759 today!